Hello! Today I have an adorable pumpkin shaped card to share with you. I pulled out my Silhouette to cut the shape of the pumpkin and then just did a little bit of embellishing. 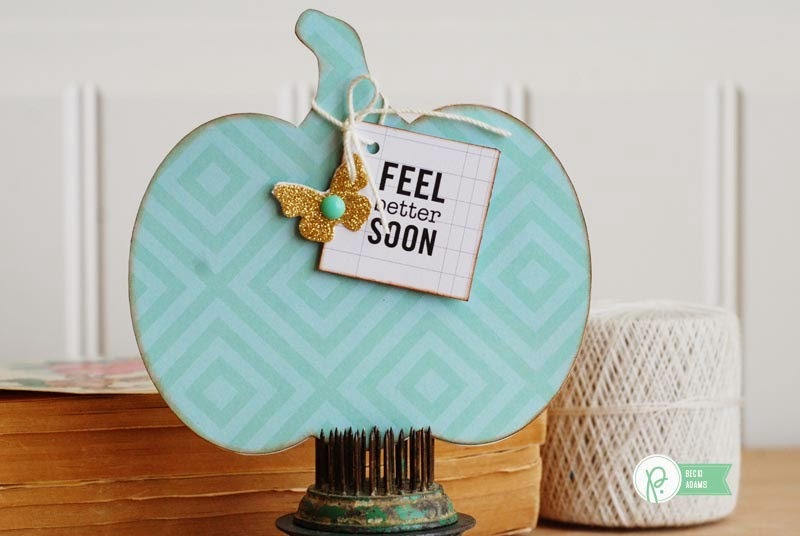 I tied the sentiment tag around the stem of the pumpkin and added a gold butterfly. Easy peasy, but adorable! I have a set of three of these pumpkin cards up today on the Pebbles blog. Hop over there and let me know what you think!